www.CHORRIDUS.com is registered and ready to go. Please update your bookmarks and links (and address bar typing habits). If you notice any problems with the new site, please let me know. Sure, things were peachy once. Then the opening whistle blew . . . (David Myrie: Second from left, top row). 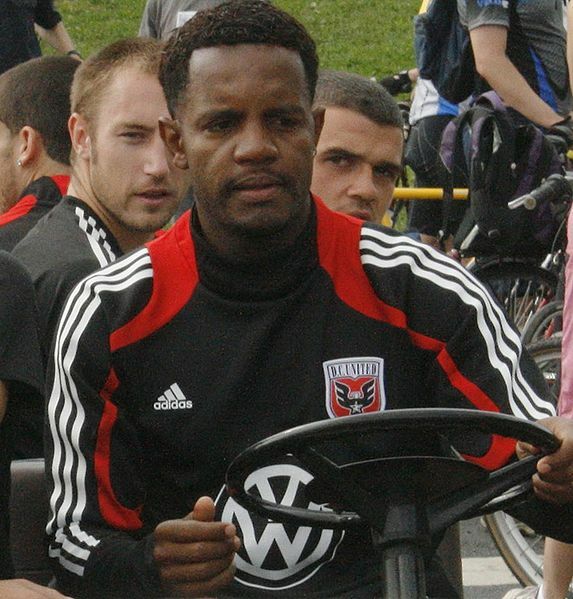 The unforgiving reality of professional soccer struck home for one Union player today. David Myrie, the former Costa Rican international who started in his first MLS game, played poorly, and left the field limping against the Seattle Sounders last Thursday, was released by the Philadelphia Union earlier today. Is Cristian Arrieta the Union’s answer at right back? Cristian Arrieta. Is he ready to make the leap to MLS? When David Myrie limped off the field Thursday against Seattle, few expected to see him start a game again soon. Not due to injury (we still don’t know what it was, or it’s extent), but because Myrie had an absolutely awful game. The sky may be the limit for the 21-year-old right back, but, like many of Nowak’s other signings this year, his ability has yet to catch up to his potential. He’s just not MLS ready. Enter Cristian Arrieta, The 30-year-old Puerto Rico Islanders right back is on trial with the Philadelphia Union, according to reports from American Soccer News and Soccer Insider. 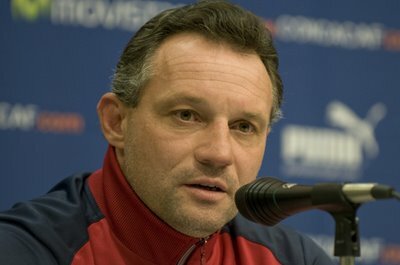 The Insider has learned that expansion Philadelphia is considering several options at striker, including Emilio . . .
Philadelphia “has a couple of things in the works,” one source said. Emilio scored 20 regular season goals in 2007, 11 the following year and 10 last season. Who should the Union start against DC United on April 10? IF we learned anything from the Union’s first game it’s that Nowak’s lineup didn’t work. This has been discussed extensively here, here, here, and just about everywhere else. So what should the starting lineup be against DCU on the 10th? Is it too early to start speculating? Hello no! I’m suffering from Union-on-TV-withdrawal and need to keep the posts going. Did Peter Nowak out-think himself against Seattle? 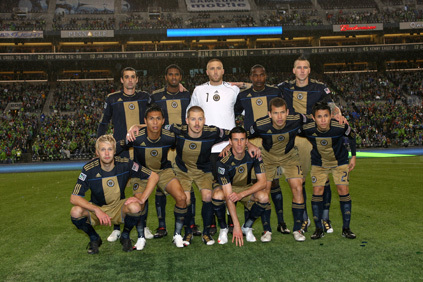 Did Peter Nowak over-think the Union's lineup against Seattle? I have to say, the most worrying thing for Philly is the way Nowak just seemed to totally misuse what was available to him. Stahl may be capable of playing CB but he’s a natural defensive mid. Conversely, Orozco may be capable of playing holding mid but he’s a natural center back. Why swap them? To me, that’s a massive gaffe on Nowak’s part. Instead of having two players in their comfort positions in a game where you’re starting a team full of rookies and teenagers, you contribute to the madness by playing them out of position. He did the same to Mwanga. Danny is a striker, and instead was being told to play in a creative midfield role. He looked lost for the entire 45 minutes he was on the pitch, like he wasn’t sure what his responsibilities were. Alejandro Moreno is a guy who’s not unused to playing in the hole behind the strikers, so why wouldn’t you have Mwanga partnering Le Toux up front with Moreno behind and Torres/Jacobson on the wings? I was disappointed to see such poor decision-making from Nowak in just their first match. Philly Union v. Seattle Sounders live commentary after the jump. This site is no longer active. Please direct your browsers to www.chorridus.com. Blogging on the Philadelphia Union and other myriad concerns in the world of American soccer from Syracuse, NY.